Typical Trentino DOC still white wine. The La Vis Riesling has a pale yellow body with greenish tendencies, and a dry perfume embellished by distinctive aromas of candied fruit and carob. Penetratingly tasty, fruity and pleasantly acidulous on the palate, it expresses itself still better after further maturing in the bottle. 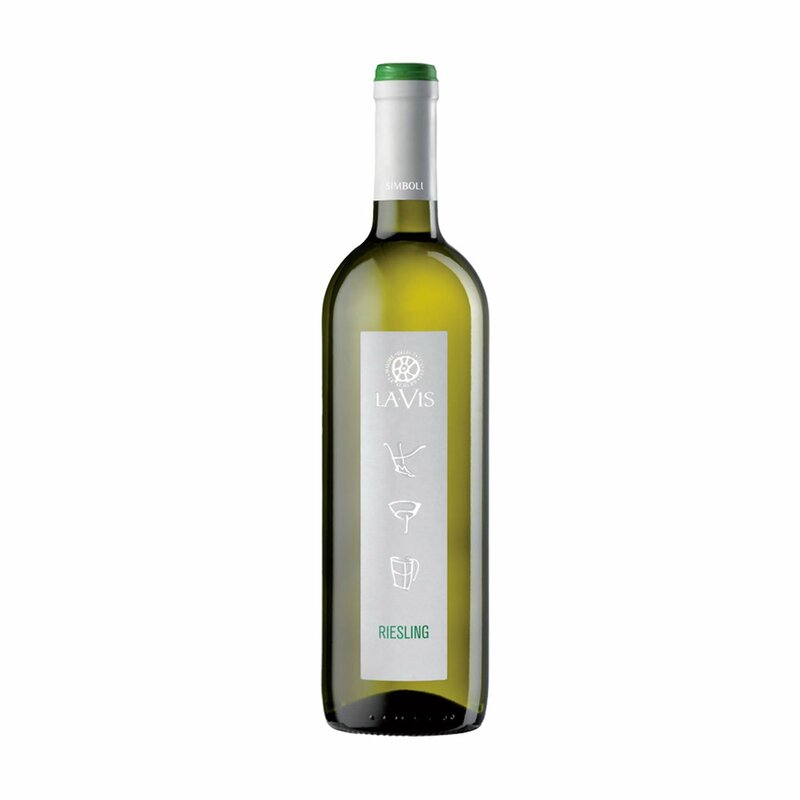 The La Vis winemaking company was founded in 1948 in the town of Lavis in the beautiful Avisiane Hills in the Province of Trento. At the time this involved taking over the winemaking facilities first built by the Cembran family in 1850, still the nucleus of today's larger structure. Today the La Vis group is an authentic collective patrimony embracing numerous mountain grape-growers in one winemaking excellence.